The world we live today has completely evolved from what it was 20 or 10 years ago. Technology advancements have improved and disrupted our lives as automation in the industries has eliminated millions of blue-collar jobs by replacing factory workers with robots. Such rapid changes in these modern days have drastically altered multiple aspects of society, commerce, and even our daily lives. This stands especially true in the sector of communications where Public Relations has experienced a vast industry disruption related changes in recent years. We can see how artificial intelligence has advanced the way we communicate and get things done. But at the same time, we cannot even overlook how machines are replacing jobs we as humans have been doing for decades and decades. Here, the question arises what if Siri can answer our questions and Uber has transformed into self-driving cars, then what’s next on the horizon for artificial intelligence? With the facial recognition to unlock cell phones, navigation applications to notify us where the traffic is backed up and virtual assistants for making real-time conversations with our computers have become normal these days. This is evident that AI has already become a serious impact on the way we live and work. Also, the promises held by AI is profound for almost every facet of society. While some people are getting cautious of the growing digitization across variant industries, others welcome it with open arms as everyone claims AI for maximizing productivity and efficiency no matter the sector. In the corporate world, and especially for communications, we are uncertain about how AI impacts our daily lives, corporate and personal reputation and how will that change our jobs. The people across the globe actually wonder how AI will replace jobs and more likely to create and evolve the current roles we have today. 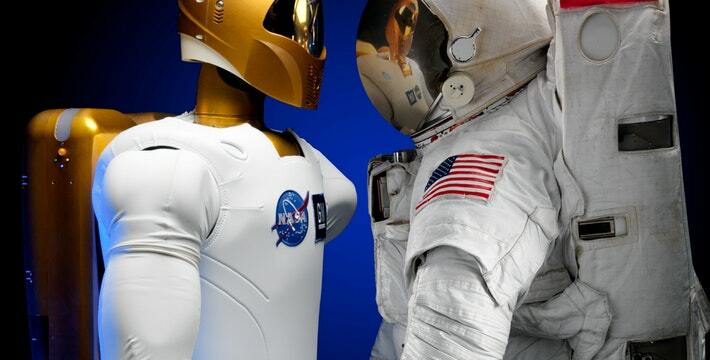 Artificial intelligence may help write press releases, create a media list and generate a media advisory but still, it cannot really take a journalist to lunch or convince a customer about any specific journalist’s qualities. Such roles of AI application and media relations specialist are likely going to change in the upcoming years. This illustrates how the value of PR changes over time by reskilling existing workforces to provide the proper guidance for training new employees. The model of PR is more likely to get an inevitable change is it replaces jobs and creates new vacancies. We are very well aware that it is going to happen sooner. We can definitely consider which functions and roles will get improved or changed. For instance, with the advancements in artificial intelligence, the way a crisis is mitigated or anticipated to likely change it drastically. Data will be collected continuously and with the help of machine learning and natural language generation, some crises including the reputational may be averted up to some extent communications and expected actions can be sent through a supply chain to new outlets. Looking at the other side of the agency and client side, as the marketing industry is more data-driven which enables AI for public relations to get ahead woefully. In the beginning, stages, collecting data and trialing new technology can derive value and insights from it by using big data analytic techniques. What we as humans are absorbing from the AI is just narrative because the opportunity is taking data and transform it into meaningful and understandable communication. This immediate future opportunity can be an advancement to integrate that will narrate across all platforms be it virtual reality, augmented reality, TV, social media, video and much more. Many experts are getting agreed that AI will help workers have more time by freeing them from performing mundane tasks and allows them to concentrate on more innovation and creativity. Mostly, all the white-collar jobs include plenty of tasks which will be overtaken by machines in the foreseeable future. 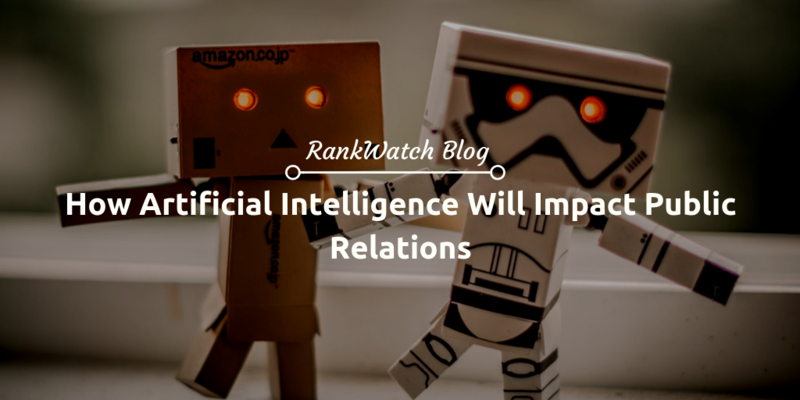 PR itself is not immune to the effects of artificial intelligence as it can write content such as press releases and reports. Marketing materials like earning releases and product descriptions are ideal for AI for its quick and accurate transformation of structured data such as columns and rows in a spreadsheet. How Smart is an AI? AI in the workplace helps to take out the pain from the administration, crunches the numbers, organizes files and essentially gives you much time to focus on what really matters by enabling us to be more productive on a daily basis and work smarter but not harder. There are plenty of tools and platforms which are available today that can be empowered by AI software to help us create, organize and prioritize tasks. The discovery of patterns and knowledge with big data is defined and analytics which is a compelling aspect of any business for making any sort of strategic business decisions and manages without the computer help. AI has already started to assist with few of the admin tasks which are necessary to be completed in the PR industry such as creating reports, distributing press releases and creating media lists. Thus, it becomes clear that AI will help on the analytical side of PR for gathering and data to demonstrate the ROI of a campaign or turn data form rows and columns into written text accurately. 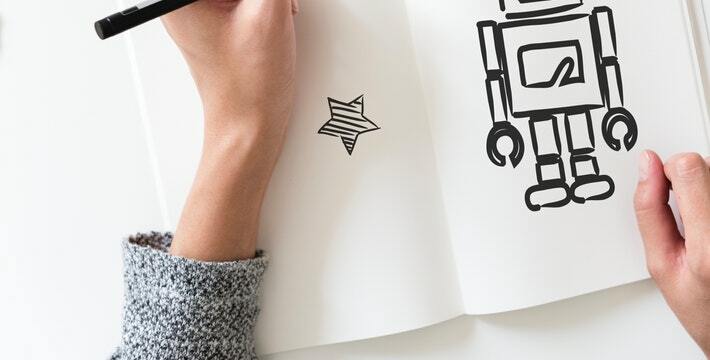 AI makes it possible for the PR industry to predict consumer interests, trends and buying patterns for the companies to shape and create products which are better suited to target their audience. Many of the mundane tasks consume a lot of time which can be reduced with the help of AI such as news scanning, media monitoring, coverage clipping, social listening, and sentiment analysis. AI advancements are also providing help to create smarter chatbots that can be used to interact with consumers as brands. The best possible way to do this is on social media where chatbots are following relevant hashtags and respond to messages on behalf of the brands. With the mix of AI, professionals of PR are able to provide better and relevant messages to their audiences to create and share more reports at the increased speed of data processing and getting more accurate analytics. Letting AI take over other tasks such as media monitoring and specific data-collection focused tasks will eventually give PR experts precise data for a clear understanding. Thus, the value of AI technology allows us to focus on what we know in the business is the true essence of public relations by building relationships with the clientele. With more time disposal, PR professionals are not only able to concentrate on the creative aspects of their work but also perform vital duties such as networking and socializing with media partners, clients and members of their targeted audience. As the other significant benefits of AI cannot be overstated, time management enhancement is probably the most crucial it allows to have more opportunities to express a personal touch in an age where only an arguable reliance on any digital communication might diminish the element of human contact in the client relationship. Keep Learning! Stephanie Donahole is a Content Marketing Specialist at Tatvasoft Australia, a custom software development company. She is well-versed in all things Content Marketing, PR and Branding.